Visit with us the most emblematic and picturesque villages in the island. Walking between the streets you can enjoy the typical canary architecture, our customs and local handcrafts. You just need to walk around our beautiful villages to get into this incredible world that changes its aspect with just turning around a corner. Las Arenas and ending our excursion in your hotel. 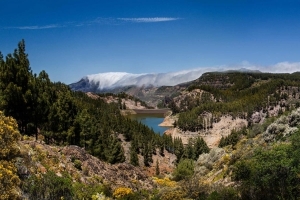 Gran Canaria is a “continent in miniature” where beautiful landscapes mixed up. The island is placed in the Atlantic Ocean and contains an incredible, natural, cultural heritage. 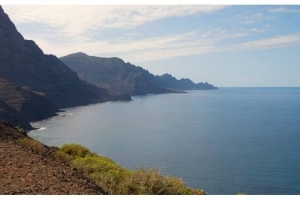 Come with us and visit the Roque Nublo natural park, a place where you can admire the beauty of this island and the astonishing views. Discover this nature’s hidden jewel. Visit Tenerife and tour around the beautiful villages of the center of the island including the impressive park of Las Cañadas del Teide. Guide, ferry and lunch included. Don´t pay more, get three products for the price of one! 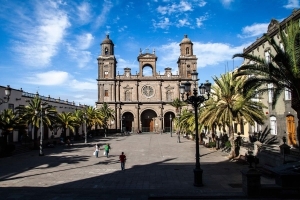 Once in Las Palmas we start our tour on foot in the historical district of Vegueta, where we see the Cathedral, the town hall, the Episcopal Palace, the “Pérez Galdós” Theatre, the Columbus Museum and the local market. After that, get to see beautiful views of the city, its sports marina, and the third most important port in the Atlantic. 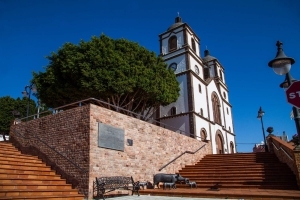 Once in Santa Catalina Park, enjoy free time for shopping, take a walk along the pedestrian shopping area and get to know “Las Canteras Beach” (The European Copacabana!). We also visit the largest botanical garden in Spain and the majestic volcanic crater of Bandama.Food NOT included. 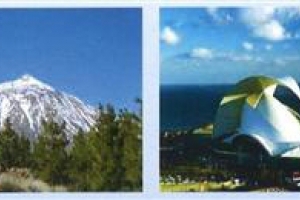 Feel the history of a city and visit the Canarian garden, the biggest botanical garden in Spain. Have a look to the incredible district of Vegueta, a place full of stories and traditions where you can enjoy the culture and leisure. 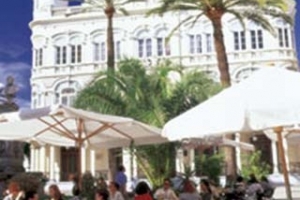 Santa Catalina’s park is one of the most touristic and famous places where the park’s life begin around their beautiful terraces and newsstands. We are also going to have the opportunity to visit the huge Guayadeque Ravine, this Ravine is full of indigenous vegetation and famous “cave houses”. We will finish our trip with a relaxing and beautiful walk through the historical Agüimes village. Why should you pay more? Visit two markets for the price of one! 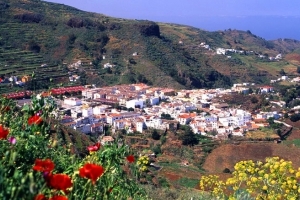 In the green heart of the island, our first stop, takes us to the typical village of San Mateo and its traditional market where you can enjoy typical Canarian folklore and dances, Canarian handicrafts, a flea market and a flower and products market that you can buy at an excellent price. The next stop is in Teror, pilgrimage village and the “Jewel of the North”, with its narrow streets and wooden Canarian balconies. Get to know the church and the Patroness of the island, our Lady of the Pine. 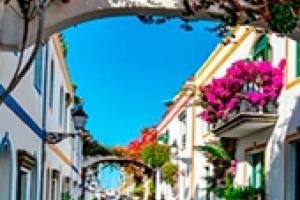 Surrounding the church and the town square is one of the most popular markets in the Canary Islands, local specialities such as the “chorizo de Teror”, blood sausage, cheeses, Canarian wines, sweets and more typical products will delight the visitors. In short, it is your chance to get to know the Canarians, which will be an unforgettable experience for you. 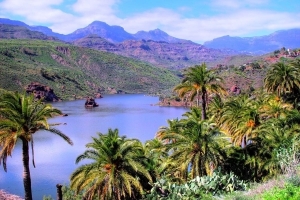 All four coasts of Gran Canaria in just one trip! We start by heading southwest visitng Puerto de Mogán- San Nicolas- Agaete – Gáldar – Guía- Arucas. In Las Palmas, we’ll have the chance to stroll along the famous Canteras Beach, and snap the “Alfredo Kraus” Auditorium. After an unforgettable day, we’ll return to the south via the east coast of Gran Canaria. Coach trip. We are going to visit one of the most incredible natural Landscapes in Gran Canaria, “Maspalomas Dunes”, after that we will go to Mogán’s port, and ancient sailor’s district formed by a combination of small, white gorgeous and beautiful houses, decorated with flowers and placed next to the sea shore. Their marina, shops and street market improve this “Little Venice” charm. We will visit Amadores beach, a bay with crystal and calm water, a white sand beach next to the sea. A complete experience that takes you to the history of our island. Discover and visit a village of caves in one of the most spectacular ravines of Gran Canaria, "Guayadeque". Driving past the picturesque typical village of Agüimes (old aboriginal quarter) we arrive at our next visit to an Aloe Vera plantation. Test on your own skin the magnificent properties of this plant. Reaching the north, stroll through the beautiful streets of the smallest "county" on the island, "Firgas". We pass small farms full of traditional crops. The interior of the island shows us its green heart, deep canyons and breathtaking mountain scenery as well as the majestic "Roque Nublo". After reaching the summit, we continue our route surrounded by Canarian pines and the almond trees of Ayacata. We visit the village of Fataga known as “Valley of the thousand palm trees”.